Whether you’re starting or running a small business, you’ll be making plenty of decisions every day and this is when you’ll often need professional support. Here you’ll find a range of tips and guides to support you on your journey. You can sign up to our monthly newsletters that will provide regular updates on Breslins News as well as topics to help you with information, articles and techniques to help you run your business more effectively and efficiently. Xero provide specialist accounting software, designed especially with the small business in mind, along with a range of guides to the various topics a business owner will need to consider in the set-up and development of their business. If you would like an informal chat over the phone or a coffee, please TALK TO US. Call us on 0121 233 0456. How do you ensure your product or service meets your target customer’s needs? How do you pick the right idea that’s a good fit for your personality and your skills. Where do you start when you want to set up your own business? Who are you selling to? You have a specific customer in mind, so how do you create content that resonates with them? 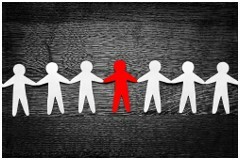 How do you distinguish yourself in a crowded market place? An exit strategy is a plan for wrapping up your involvement in a business. Get paid quicker and more easily with online payments. It’s great for you and your customer.